- This module allows to automatically select a default product variation that the stock. - No need to do it manually. - Finish the message "This product is no longer in stock with these options but is available with other options." - On the next variation in stock (grid declination). - On one of the cheapest stock in versions playinstock. - Either on one of the versions with the most stock. The module Used to direct sales on the declination of his choice. -You Will be able to direct your sales with automatic display of the cheaper product price. -You Will be able to direct your sales on the status of the largest stocks. Boost your sales and so on targeted products and reducing shopping cart abandonment by the customer. New: Automate product verification using a cron job. 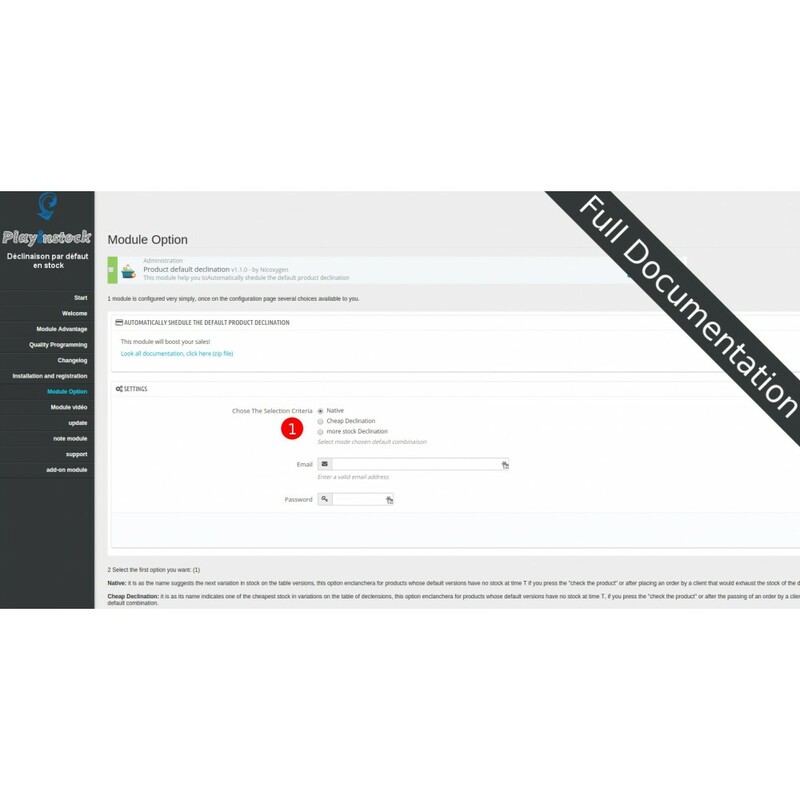 When a client flushes the default combination that was in stock, the module will automatically default a variation of the stock and that it will depend on the selected options. Does not work with advanced stock management option if option: "I want to use advanced stock management for this product." on the product sheet is checked. - Always display the product with a variation in stock. For the cron job it is recommended to use the Cronjob module PrestaShop. unzip the module and transfer it in the prestashop module folder. 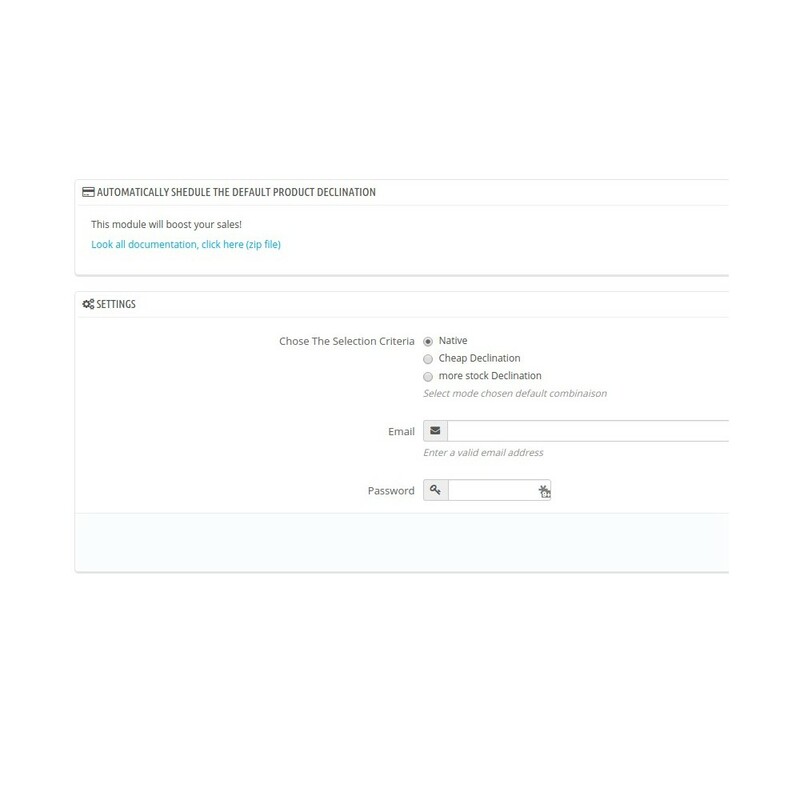 In the module, click on "add a new module" and follow the procedure. The functions in "protected" instead of "private" to allow overrides without modifying the original code of the module. 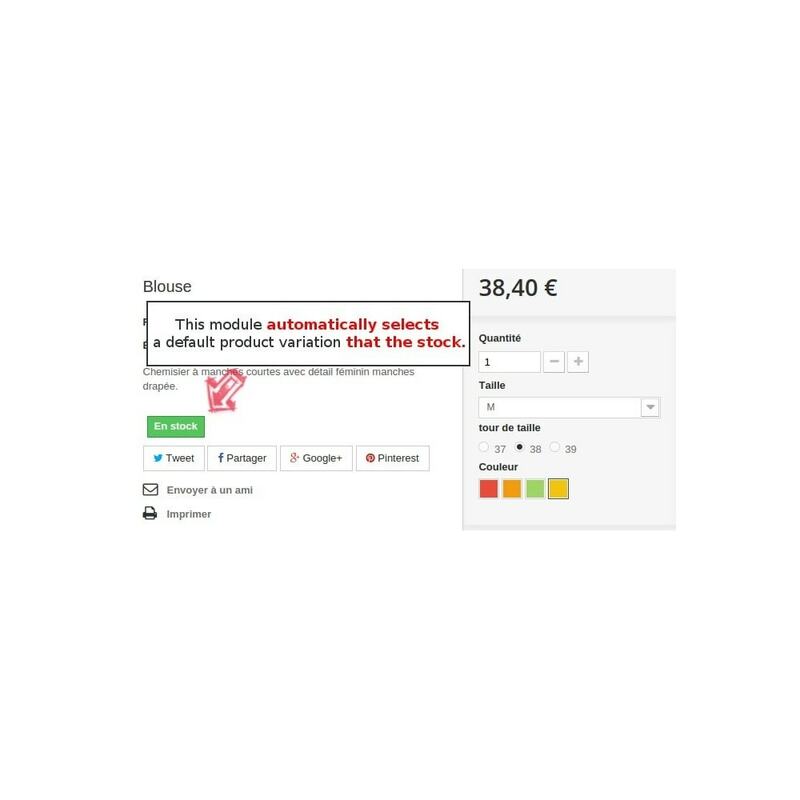 Fullautomaticattachment automatically sends by e-mail documents ( pdf,txt), predefined messages in prestashop, but also cms items when changing a command state.